Suspected Boko Haram members have reportedly abducted 10 internally displaced persons (IDPs) from farms in the outskirts of Maiduguri, Borno State. Speaking to journalists yesterday on the attack on his village, the Village Head (Bulama) of Mammanti, a suburb of Maiduguri, Mohammed Ibrahim, said the rampaging insurgents set ablaze about 100 houses and carted away their livestock while setting livestock ablaze. The village head said: â€œThey packed their bicycles near trenches and started shooting sporadically. We all fled our homes exactly 11p.m. last Wednesday night; they looted and carted away more than 120 cows and goats before setting ablaze not fewer than 100 houses. He also appealled to Chief of Army Staff, Lt. Gen. Tukur Buratai, to deploy troops in the village because the people cannot continue to stay unprotected. In another attack in Borno, it was gathered that 10 women were abducted. A source said Korori community in Bama Local Government Area was attacked with the insurgents abducting the women from farms. 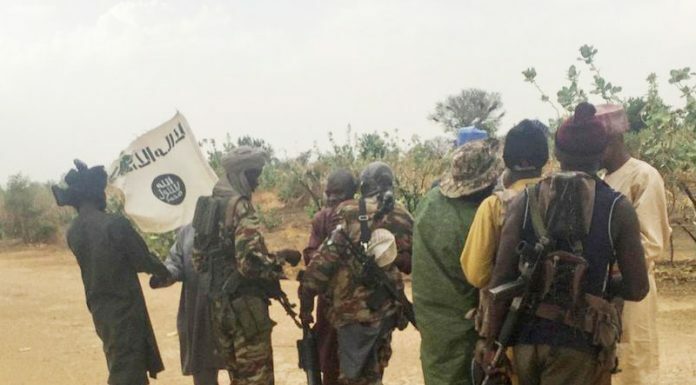 A member of Civilian JTF, who participated in the search and rescue for the women, speaking anonymously to journalists on the phone, said they would continue the operations on Friday to ensure that the women were freed from captivity.